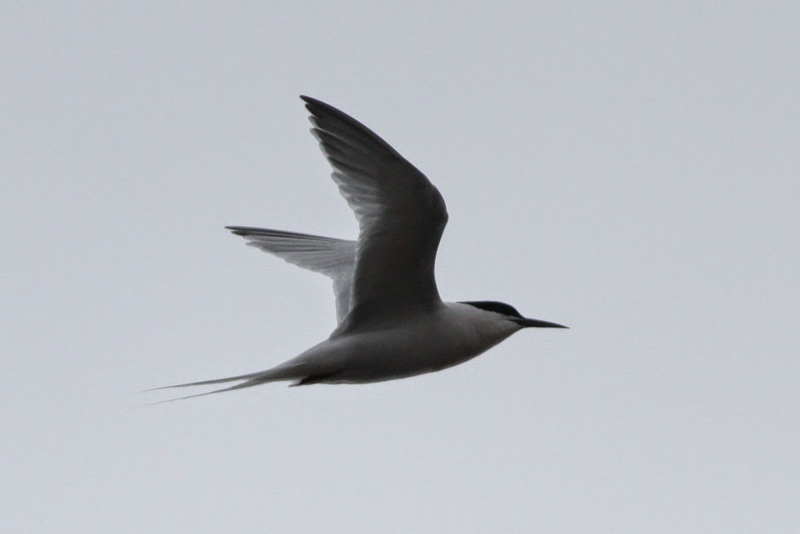 Fair Isle Bird Observatory: the Warden's diary: There is a Season, Tern! Tern! Tern! After starting the period murky, a couple of days of easterly winds brought sunshine, then rain before the wind switched to the north and things started to feel distinctly cooler. With an increasing swell and grey skies, there was almost an autumnal feel and, as the longest day came and went, there was certainly the sense that the seasons had turned. After the first attempt at counting the nesting Arctic Terns on Buness was interrupted by the finding of the Bridled Tern last week, the first attempt to cross to Shalstane to count tern nests suffered a similar fate, when two Roseate Terns were discovered on the rocks there on 24th. It won’t make as many headlines away from Fair Isle, but this represented only the 4th record for the island and the first multiple occurrence. Nowhere near as rare, but equally important for the year list was the Sandwich Tern that called into North Haven briefly on the evening of 26th. Five tern species in a year is as good as it gets on Fair Isle (the maximum in any previous year is just four species, with Arctic, Common and Sandwich the most regular, joined by very occasional vagrants) and the rather good year for rarities (both national and more local) continues. After previous records in May 1988, July 1996 and July 2013, the two Roseate Terns found at Shalstane on Tuesday were a surprise. The other rarity of the period was a Blyth’s Reed Warbler, which was trapped at the Obs on 25th and was still present to 27th. Remarkably, it was already ringed and proved to be the bird that had been at Virkie (in the south of Shetland Mainland) on Sunday. Not a huge distance by any means, but interesting that it had started apparently reorientating. After an autumn Blyth’s Reed Warbler trapped on Fair Isle in 1993 that later moved to Sumburgh, this is the second movement of a ringed bird of this species between here and Shetland (the only movements involving birds trapped in the UK that I’m aware of). 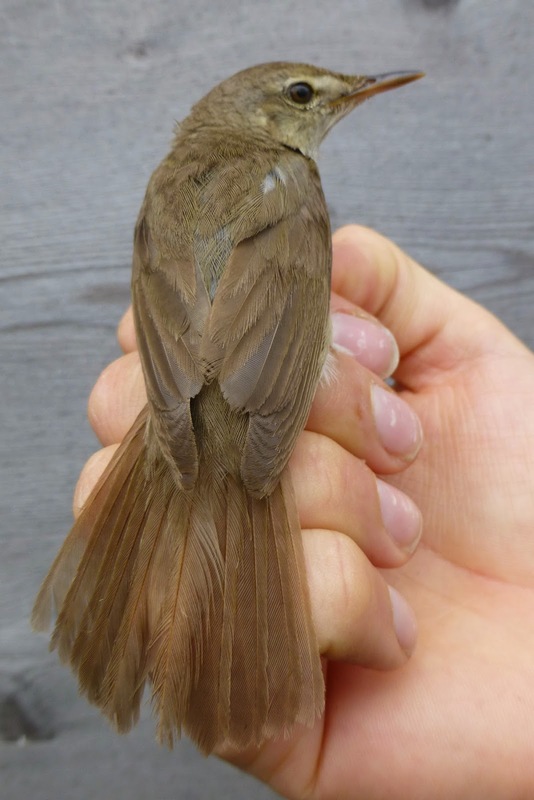 The very plain wings and short primary projection are good indicators of Blyth's Reed Warbler, as is the lack of any rufous tone, the overall dull brown coloration and the facial pattern. For a species such as Blyth’s Reed Warbler, a ringing recovery is probably the only way of proving a movement of an individual between two sites, but for other (particularly larger) rarities, individual plumage features may also provide clues. 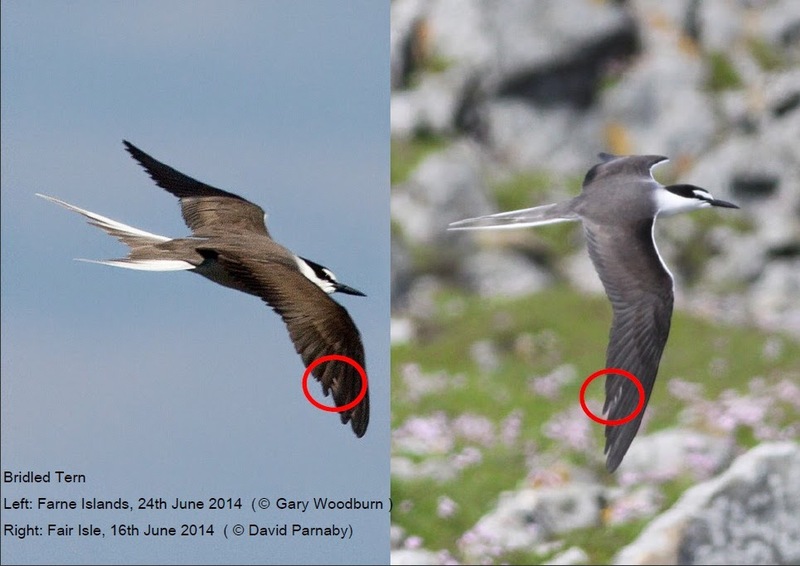 Two such examples have surfaced this week, with the Honey Buzzard seen in late May looking very like the North Ronaldsay bird of the previous day and a Bridled Tern picture from Northumberland seemingly now confirming what seemed the most likely scenario anyway – that the bird on the Farnes is the same individual seen on Fair Isle. 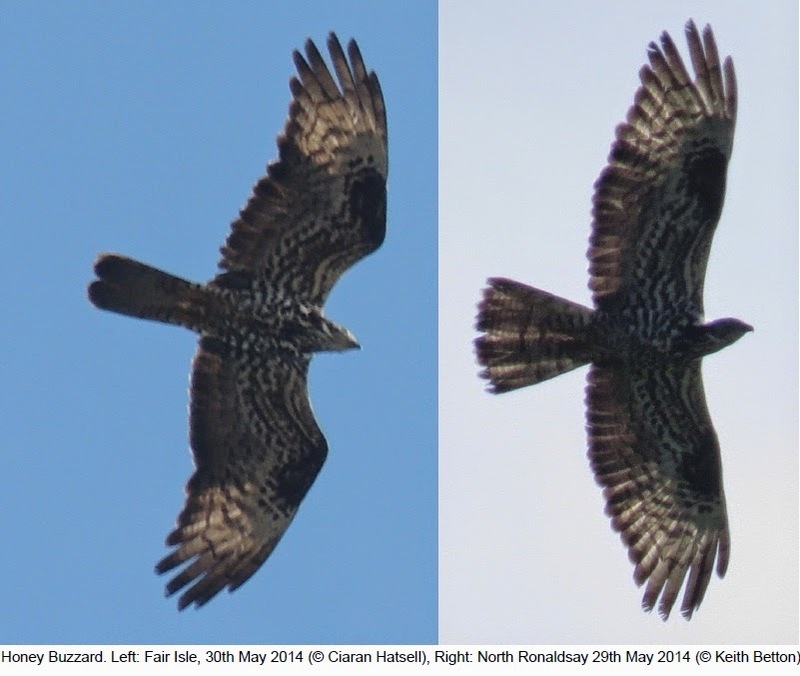 The Honey Buzzard from late May (thanks to Keith Betton for the picture from North Ronaldsay), showing obvious similarities in wing and body plumage and wear on the primaries, all suggestive of the same bird being involved in both sightings. When seen initially on Fair Isle, it was thought the Bridled Tern may have lost a feather in the right wing, although closer views revealed that not to be the case and in fact it appeared the feather may just have been damaged. A photo taken a couple of days ago in Northumberland shows exactly the same apparent damage, confirming the same bird is responsible for both sightings. Despite the late date, there were still a few migrants on the move with the 25th seeing Pied Flycatcher, Whinchat, Robin, Woodpigeon and Mealy Redpoll arrive and there was also Kestrel (22nd), Whitethroat (23rd), 2 Blackcaps (26th) and a new Marsh Warbler singing at Skerryholm (25th), with the two Marsh Warblers lingering throughout at the Obs. There’s always speculation about birds moving this late in the spring and it seems possible that some are late overshoots, whilst others (including the Pied Flycatcher and one of the Blackcaps, both females with brood patches), could be failed breeders wandering. On the subject of breeding birds, it’s still looking relatively positive for the seabirds, hopefully I’ll get a blog update on the season so far for them posted soon. It looks like we’ve got northerlies for a while now, so any lingering spring migration will surely be brought to an end, but I’d not rule out anything the way this year has been going. Garden Wildlife. 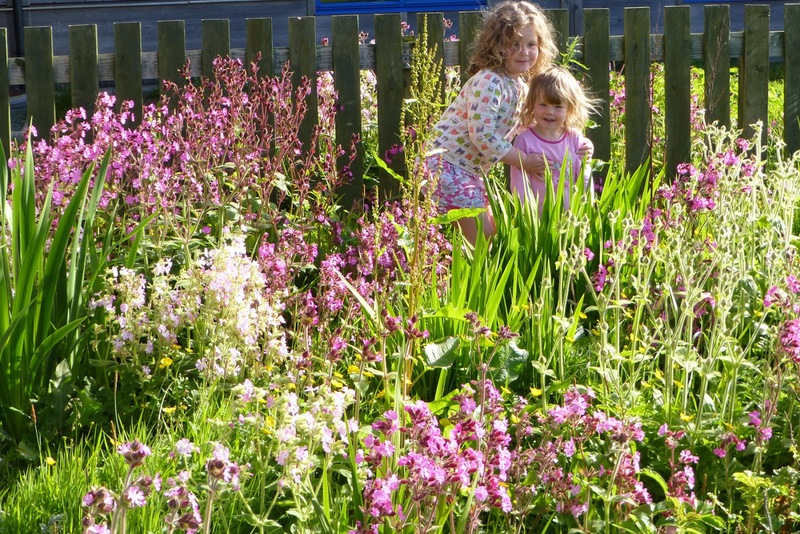 Grace and Freyja enjoying the morning sunshine at the Obs.